Lato Senso course comprising academic lectures, practical sessions, scientific study course work, and clinical literature review plus directed & guided home-study. The Course is based on the Original Teachings of Dr. Andrew Paxton Davis, MD, ND, DO, DC. Neuropathy is based upon a specific Neuropathic Treatment Approach, which is based upon a unique Method and Technique which may include when needed, some Osteopathic Manipulations, Chiropractic Adjustments and Swedish Massage Techniques. Development of the knowledge & transferable skills required to begin applying the Philosophy, Principles & Concepts of Neuropathy Treatments in practice; and to stimulate further future academic and practical interest in studies relating to the Anatomical and Physiological functioning of the Physical, Mental and Spiritual bodies (how to same interact one with each other) and its relations to the Creator. Fulfilment of the learning outcomes relating to each module; and meeting the attendance expectation of 100%. Students who for any given reason who miss the certain class will have to take those missed classes before a Diploma is awarded. Please note: Those students who miss classes and do not take at a later date those missed classes will be awarded a Certification of Attendance to the Course stating the total of Hours attendance and which modules where attended. Written course work, review presentation, case-history presentation, practical examination by viva. Set texts & references in relation to each module; guided literature review. Reading Required: Books of Dr Andrew Paxton Davis, MD, DO, DC on Neuropathy. Course Materials in respect to the Teachings of Neuropathic Treatments, this are given free of charge, which are a fundamental part of the Teaching Materials. Video teaching aids materials are provided for private use only and self study. Please be aware that the minimum amount of Anatomy, Physiology and Pathology classroom hours should be no less than 150 hours. Anatomy, Physiology and Pathology can be taken with Volksmed School or with any other school. Please Note: In this course you need to have had a prior training on either Osteopathy Manipulation or Chiropractic Adjustment. This course is very clinical and in order to fully understand the Therapeutic Method of Neuropathy, prior understanding of the basic foundations of both Osteopathy and Chiropractic need to be in place, it is upon the principles of Osteopathy and Chiropractic that the true concepts and teachings of the Neuropathy Method come alive. In order to be able to fully take advantage of this course in its Clinical Application, you should have a training background on Osteopathy of Chiropractic Course or have completed the Osteopathic Manipulation Course or the Chiropractic Adjustment Course or both. Price includes: Lodging and meals. Change of Mind & Refunds: Our courses are given to the best standards and are second to none. But each person is different and we understand that things may change. If for any given reason you changed your mind after paying for any course, but before taking a class then we will refund your payment “no questions asked”. If you attended one or more classes and then had a change of mind, we will refund you per each day you haven't participated, “again no questions asked”. Neuropathy was first made part of the Hydropathic Practice by the renowned Hydropath Dr James Manby Gully. Dr. Frederick Hollick published "Neuropathy, or The true principles of the art of healing the sick: Being an explanation of the action of galvanism, electricity, and magnetism, in the cure of disease: and a comparison between their powers, and those of drugs, or medicines, of all kinds, with a view to determine their relative value and proper uses". “Investigated, studied, graduated in, Osteopathy, and found many good things therein; but still not filling the desires I expected, we launched into the so-called Chiropractic method of spinal adjustment, and evolved Neuropathy”. - Dr Andrew P. Davies, MD, DO, DC in “Neurology”, 1905. "The word Chiropractic practice, is simply hand practice of a peculiar character to relieve nerve pressure from the spinal nerves. Having taken full courses of instruction in Chiropractic science, and having six years experience in its application, and having evolved from the Chiropractic the Osteopathic and Ophthalmic sciences a system we name Neuropathy". - Dr Andrew P. Davies, MD, DO, DC in "Neuropathy, the New Science of Drugless Healing Amply Illustrated and Explained: Embracing Ophthalmology, Osteopathy, Chiropractic Science", page 149, 1909. Dr Andrew Paxton Davis, MD, DO, DC graduated from Rush Medical of Chicago in 1867, Pulte Homeopathic of Cincinnati in 1877, was a student and professor in the first class of Osteopathy under Dr. A.T. Still in Kirksville Missouri, Winter 1892-93. In 1898, Dr A.P. Davis was the second student of Chiropractic by D.D. Palmer. Dr. Andrew Paxton Davis first Dallas office (May 1881-Feb 1884) the site is now part of El Centro College campus. His 1905 office interior photo appears in both "Neurology", 1905 and "Neuropathy" 1909, this office was on the Wilson Building, Dallas, Texas, USA. 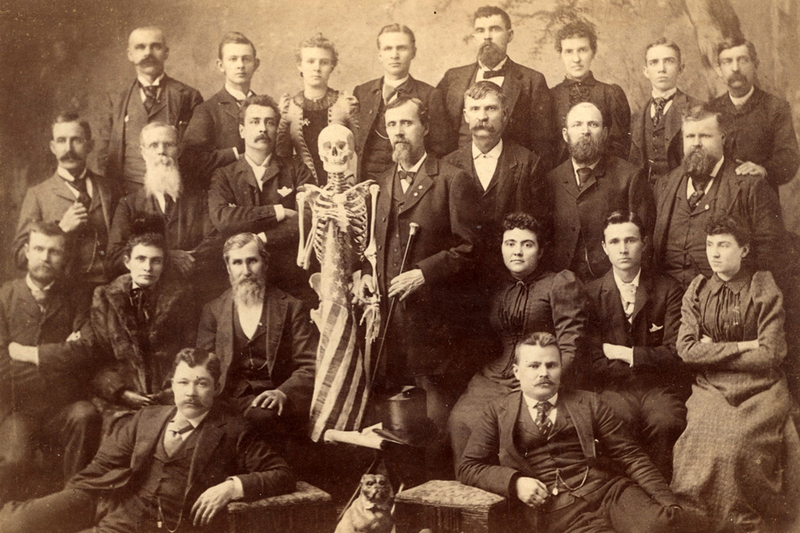 Dr. Andrew Paxton Davis son Fergus S. Davis (Hahnemann's 1883), also appears in the photo with the first class of Osteopathy, practised in Dallas until his passing in 1948, just days shy of his 90th birthday. Dr Andrew Paxton Davis was a devout member of the Church of Christ, and his younger brother, Josiah W. Davis, was a Minister of the Church of Christ in Kirksville, MO. Dr. Andrew Paxton Davis wrote that his brother first told him of Dr. Andrew Taylor Still's success with Osteopathy. Dr. Davis first three books were published by Fred L Rowe, a publisher of Christian books and a Christian newsletter called "The Leader and the Way." Entries in "The Southern Homeopathic Journal" tell us that A. P. Davis had moved to Corsicana to promote and spread Homeopathy in the South. He was an editor for the journal and his practice partner in Corsicana. Dr. Charles E. Fisher, was its publisher. In May of 1881, Davis relocated to Dallas. From the 1905 issues of “The Chiropractor” with an article making a untrue statement that Dr. Davis ran a School in Dallas in 1905, and the implication that it was a diploma mill. No evidence of a school in Dallas exists - with some evidence to the contrary. Analysis of the same Journal suggests a similarity to American talk radio, with letters/callers reoccurring with information or comments that fit into the subject at hand. Sometimes the protagonists are solicited and slanted. The editor of “The Chiropractor”, B. J. Palmer would later own a radio station and become a pioneer in the talk radio format. It is reported that one of their early “on air” employees was a young man named Ronald Reagan who became a movie star. "Dr William Wallace Fritz, MD physician, was born at Elders Ridge, Indiana co., Pa, 25 April 1872, son of William and Sarah (Miller) Fritz, and a descendant of Jacob Fritz, who settled in Perry county, Pensylvania, from Germany, in 1727. He was reared on his father's farm until sixteen years of age. While haying in the summer he was so injured by falling from a load of hay that his life was despaired of, and while convalescing began the study of anatomy, thus determining his future career. In 1891 he entered the Medico-Chirurgical College in Philadelphia, and was graduated M.D. in 1894, having been a charter member of the L. Webster Fox Ophthalmological Society and member of the William Easterly Ashton Gynecological Society; he was also assistant gynecologist in the dispensary service of the college and hospital. In 1892 he received a diploma from the Philadelphia School of Anatomy for proficiency and research work; was demonstrator in the latter school in 1895; was elected director and dean in 1896, and was lecturer on anatomy in the Medico-Chirurgical and Philadelphia Dental colleges. In 1897 he was appointed lecturer on minor surgery in the Philadelphia Dental College; in 1898 became surgeon on the staff and in 1899 consultant medical chief of the Garretson Hospital, and in 1900 was graduated D.D.S. at the Philadelphia Dental College. During the latter year he organized the medical and pharmaceutical departments of Temple University, of which he was dean and professor of anatomy and clinical surgery. He also inaugurated there a five-years course of study for medical students, Temple University being the first university in this country to require a five years course. During this time he was surgeon on the staff of the Samaritan Hospital, and professor of anatomy and surgery in the Philadelphia Normal Training School. Having become interested in the drugless treatment of human ills, in 1906 he was appointed professor of surgery and clinical surgery in the Philadelphia College and Infirmary of Osteopathy. In 1907 the name of the college was changed to “The American College of Neuropathy”, and became the property of the Alumni Association. He was dean of the latter, professor of anatomy, surgery and clinical surgery and a member of the board of trustees, and in 1909 became president of the corporation. Dr. Fritz is one of the iconoclasts of the medical profession, having evolved a number of theories that run contrary to the generally accepted beliefs of the profession. He denies that most diseases are caused by bacteria, claiming that the beginning of all diseases is the loss of the function of the nerve mechanism governing the blood supply to the involved area, producing hyperemia followed by blood stasis, diminishing the resisting power in the involved area, which thus becomes susceptible to the invasion of disease germs; also that diseases can be prevented by removing the blood and lymphatic stasis from the involved area by regulating the blood supply to all parts of the body through the nerve mechanism. He also maintained that there was no epidemic of infantile paralysis during the summer of 1916; that the majority of such alleged cases were mistaken diagnosis; that infantile paralysis is not contagious or infectious, but is caused by errors in diet in unhygienic conditions; and that 99%, of reported cases could have been cured by drugless treatment or Neuropathy. 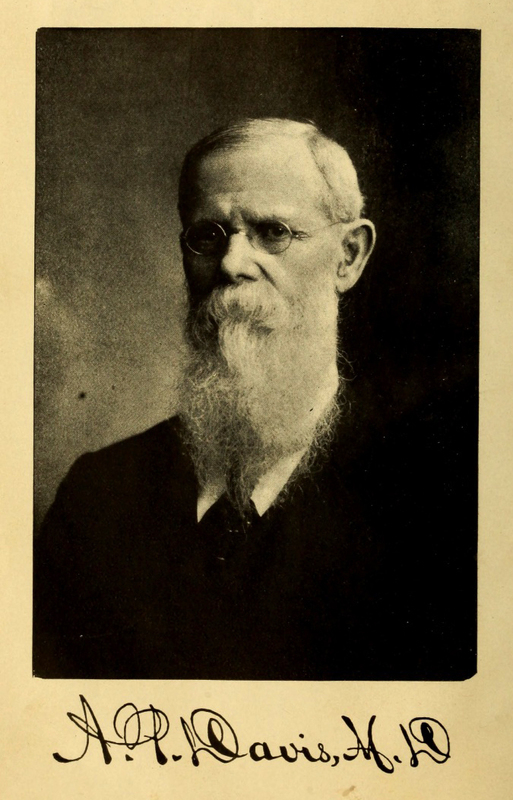 In 1917 he received the degree of Ph.C., Dr. Fritz is one of the most interesting characters in the medical world and has fully proved his worth in whatever position he has been placed.” - in "The National Cyclopaedia of American Biography”, Vol.16, 1918. Dr W. Wallace Fritz, MD, ND, DDS, DO, was elected Dean and through his studies and endeavours the school up until 1919, was one of the foremost Drugless Therapy colleges in the country. Dr Fritz not only defined the name “Neuropathy”, but contributed to changing the philosophy, pathology and method of examination and diagnosis, and gave Neuropathy a defined working curriculum. Dr Thomas T. Lake, ND, DC (1882-1950) a Neuropath and Chiropractor with a good working relation with both Osteopathic and Medical physicians, for most of his clinical professional careerer of three decades of clinical practice in Philadelphia. He promoted the work of two Philadelphia Physicians, Dr John C. Arnold, MD and Dr W. Wallace Fritz, MD whose work served as the foundations of Mechano-Neural Therapy and later correctly placed and totally absorbed by Neuropathy. The Philadelphia College of Neuropathy, organized in 1922 by Dr. Thomas T. Lake, ND, DC, followed the pattern of the American College of Neuropathy, having it broadened its teachings in several subjects. It was under adverse circumstances both schools were forced to close. The American College of Neuropathy was struck by the event of World War I, when nearly the whole student body left for the Service. The Colleges of Neuropathy required a full four-year course with dissection and other laboratory requirements. The competition of short-term schools was too great, and the American College of Neuropathy has been turned into a Post Graduate School. Motto: "Take Off The Pressure"
"The term Neuropathy literally means, Nerve pain, and as applied to the treatment of disease, means the relief of Nerve pain." - Dr Andrew P. Davis in "Neuropathy Illustrated" 1915. "The discovery of these two divisions of the nervous system - Cerebrospinal and Sympathetic - opened up a new field for study, and let in a flood of light upon the question of the causes of the various conditions known as disease - pathological conditions. Some conditions are traceable to a disturbance in some way of one or both of these systems of nerves which we denominate the positive and the negative forces of life. Without the coordination of these forces, the whole system is in a state of unbalance, is out of harmony with itself; and however slight the discrepancy, there is always to be found the cause in one or the other of these different divisions of the nervous system, and that, when righted, united, the effects then perceivable cease at once." - Dr A.P. 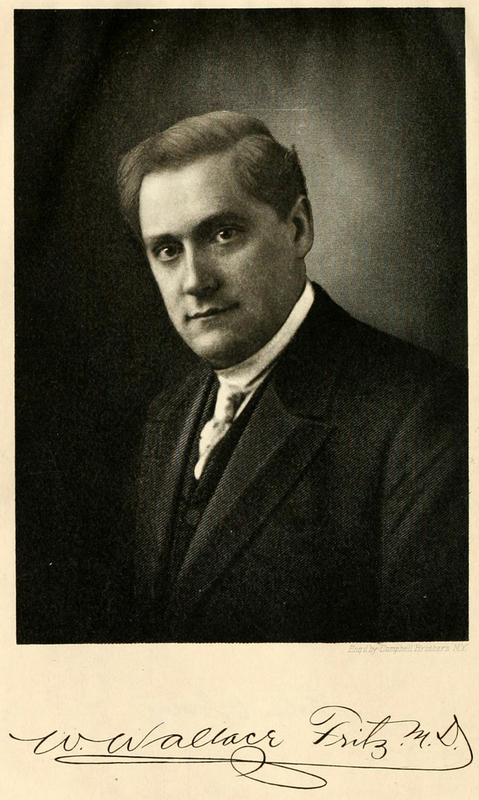 Davis, Founder of Neuropathy in “Neuropathy: The New Science of Drugless Healing Amply Illustrated and Explained” page 36, 1909. Neuropathic Treatment its aims is to work with, and in conjunction with, those of the Sympathetic Nerve System of the body. Please Note: The School has no relation with / nor teaches nor wishes no teach nor is absolutely NOT affiliated with any so-called organization either private or public that claims or purports to be "medical", "medicine", "medic" or any other type of "med...".